This may seem like an obvious statement, but your professor is the most important source of information for what will be tested in law school essay exams and how your essays will be graded. As exams approach, you may be tempted to bury yourself in purchased products, including outlines, hornbooks, and other commercial study aids. Except in rare circumstances, those resources were not created by your professor, and they haven’t been tailored to your specific class. These types of resources should only be used as supplements, not your primary source of information—instead, keep your focus on assigned course readings and what your professor tells you. Make sure that you listen closely to your professor—not just in the days and weeks leading up to the exam, but also throughout the semester. Professors often give clues about what they will test, how they will test it, and how they will grade. With that advice in mind, if your professor spends a lot of time stressing policy arguments in class, you should look for opportunities to include those policy arguments in your essay. If you professor uses terminology or terms of art that vary from what the assigned readings use, make sure you use the terms that your professor has used. If you don’t see a topic on the exam that your professor spent a significant amount of time on in class or stressed as particularly important, look close to make sure you aren’t missing that issue. There is no guarantee that the exam covers that topic, but it is likely to be tested. The best way to make efficient use of your study time is to use what your professor has assigned or discussed in class as a guide. You’re less likely to focus your energies on information that won’t be tested, and you will be able to better anticipate the types of questions you will see on the exam. 1. 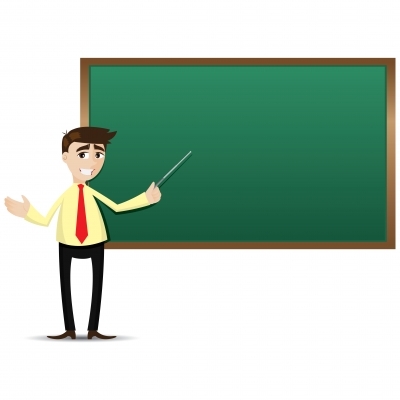 Don’t take practice exams for a particular topic until you have actually studied that topic. Many students take practice exams before they have outlined the material at issue or committed legal rules, tests, elements, etc. to memory. You will not get as much out of a practice exam if you don’t prepare for it as you would for a graded exam. If you don’t have the important stuff committed to memory, you will waste time in taking practice essay exams because you just won’t be able to recall what you need to write an answer. You will also be guessing much more on multiple choice questions, and the result may not adequately reflect your understanding of the material. 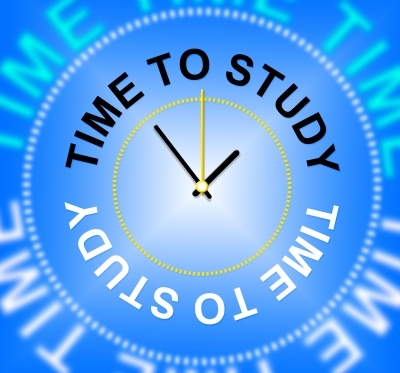 Study first to make practice exams a productive use of your time. 2. Take practice exams in a simulated test environment–give yourself the same amount of time you will have to take the graded exam, and take the practice exam in a quiet, distraction-free environment. Practicing the entire exam experience trains your body and brain for what is expected during a graded exam, and it can help reduce stress and exam anxiety by desensitizing your brain to taking exams. 3. Allot enough time to go over the practice exam answers once you have completed the exam. Part of the benefit of taking practice exams is comparing your answers to the model essay answers or correct multiple choice answers. Compare what you have done to the model answers and make note of what needs improvement. Read the explanations of the right and wrong answers for multiple choice–it will help you to better understand how questions are constructed as well as gain a deeper understanding of the underlying legal issues. I recommend setting aside the same amount of time to review the answers as you set aside for taking the practice exam to begin with. 4. Use practice exams as a way of fine-tuning your outline and rethinking further exam preparation. If you don’t get something correct or miss an issue entirely, evaluate whether your outline adequately covers that topic. Ask yourself if you need to create a flashcard for a legal rule so that you have it fully committed to memory. Studying is a process, not an destination–practice exams are a way of checking the health of your studying process before you move forward with it. So, where can you find practice exams? Often, your professors are a great resource for practice exams. Many professors release older versions of their exams, and you can use those to practice for your finals. You may also want to seek out the Academic Support professionals at your law school, as they often have many practice exam resources. If you are paying for your bar prep course as you go, the bar prep providers, such as Kaplan and BarBri, often provide supplemental materials containing practice exams. Many other supplements also offer practice questions–just make sure those questions cover material you have actually covered in class. Practice exams are one of the best ways to measure your understanding of course materials and reinforce test-taking skills–just write and repeat!